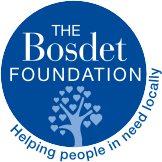 The Bosdet Foundation pairs up organisations with companies and individuals who can help support them in achieving charitable aims. For the winter Battle of Flowers Parade, the Bosdet Foundation invited local organisations to create a Christmas stocking to decorate its float. Each stocking contained a wish, that the Foundation aims to help fulfil throughout 2018. Alan Le Pavoux, Charity Manager of the Bosdet Foundation, said: “We received over 30 stockings with wishes attached. What surprised us most was that the majority of wishes were about societal changes and improving Jersey. Sadly this is a lot harder a wish for us to grant. Next year we are going to invite organisations to write two wishes. One a wider issue wish and another a material wish that can benefit the organisation. Tamara O’Brien, Head of Customer Experience JT, said: “The organisations in Jersey that support our Islanders are unparalleled. We had already worked with the St Lawrence Youth Project Family Fun day last year. We were so impressed by the students’ dedication and mature manner. Which is why we are so glad we can also grant them their wish for 2018. So, that more of their members can play the same games, at the same time. Anna Shipley, Assistant Youth Worker at the St Lawrence Youth Project, spoke to some of the members. She asked them what JT’s donation meant to them. Next year, the Bosdet Foundation is hoping to display tree decorations at businesses across the island. This is linked to a family scavenger hunt to find the most wishes. We hope that businesses and individuals can help make some of the wishes come true. If you would like to join the wish project next Christmas please email alan@bosdet.je.